Now that the Upper Euphrates cities have been liberated from Daesh, they need the attention and cooperation of all. We hope that this region, which has suffered so much, will once again be a key player in the process of restoring peace and coexistence in Iraq. In this report, we give some examples of activities carried out in July by young residents of Hit and Ramadi. 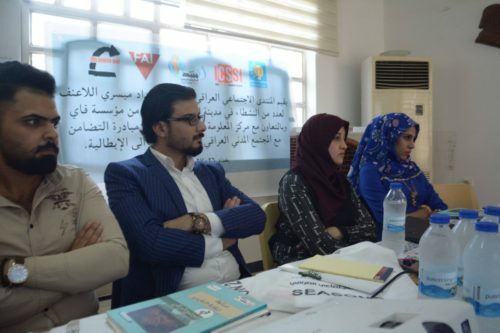 On 8-9 July, a number of young activists from Hit participated in a training workshop on nonviolence, held in the hall of the Saotana Organization in Baghdad. The workshop explored strategies which might help the diverse groups within Hit to live together harmoniously. This is particularly important now because the occupation by Daesh, and the atrocities the residents endured, has created an atmosphere of suspicion and distrust. The activists, whose city was occupied by Daesh from 2014-2016, are part of a large number of young people who are trying to recover after that dark period, and this workshop is just one of a number of events and activities with similar aims. The Shaqofiyan team, for instance, is also seeking to open a cultural forum that they hope can be a platform for spreading culture and raising awareness among the city’s youth. On 26-27 July, Saotana Organization Hall hosted a training in Baghdad on the principles of nonviolence. Five men and two women activists from Ramadi participated. They have been active in a number of civic teams and organizations that have worked in Ramadi in recent years. As in Hit, the Ramadi training was led by Ghilan al-Jubouri, a member of the Baghdad Nonviolence Group, and a representative of the Iraqi Moderation Council. The program explored the idea of nonviolence itself, and also studied examples of some successful nonviolent struggles which led social movements to achieve their goals of building a better life for all human beings. The training discussed techniques for campaign planning and management, and mechanisms which can be used to influence public opinion and generate greater social awareness. The training covered the strategies for effective of teamwork, and volunteering more generally. It highlighted the experience of the Iraqi Social Forum and its masar (paths), and the role of each one, as well as where the ISF stands in relation to other local and international social movements. The greater understanding of teamwork and volunteering gained by participants in the 2-day training led the seven activists to form the Hope Team, which is expected to be active in Ramadi. It too will try to galvanize the youth to be active within civil society, and will have the broad goal of peaceful coexistence. Like Hit, Ramadi also suffered terribly during the Daesh occupation. One of the ideas discussed by Hope team was to plan a marathon in the city of Ramadi, an idea which the team brought to fruition in record time. On 22 July, under the slogan “For a Safe Anbar” and sponsored by Al-Amal World Organization for Relief and Development and the Iraqi Social Forum, a marathon for peace was held in Ramadi, a first for the city. About 150 athletes of different ages participated, including members of the Iraqi Athletics Federation. 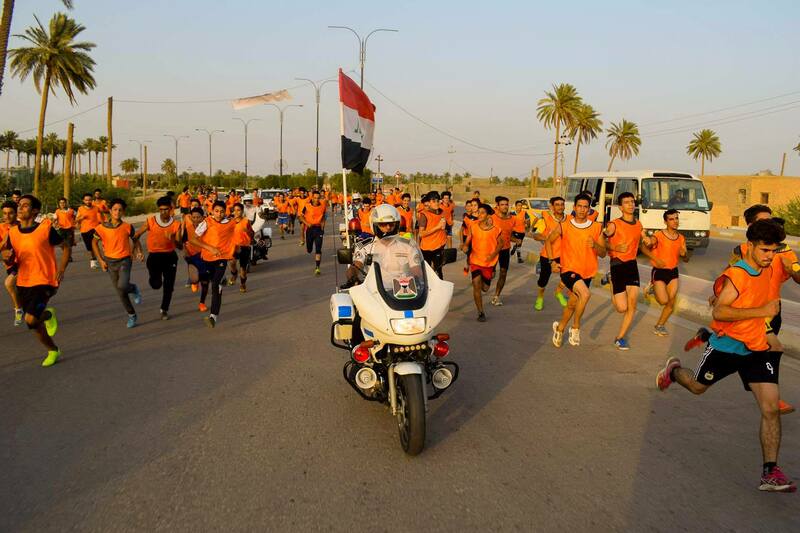 The marathon started at Al-Moj Stadium and ended in Beit Ward Stadium, and went through the streets of Ramadi. A number of government departments contributed to this activity, including the Anbar Police Department, the Anbar Traffic Department, and the Anbar Health Department. Mr. Mustafa Al-Rishawi, Chairman of Al-Amal World Organization, delivered a welcoming speech to the audience. Then there was the speech of Mr. Safa Mohammed Abu Risha, Assistant Governor of Al Anbar for Sports Affairs, followed by Dr. Mabdir Matlab, Chairman of the Sub-Federation of Athletics. 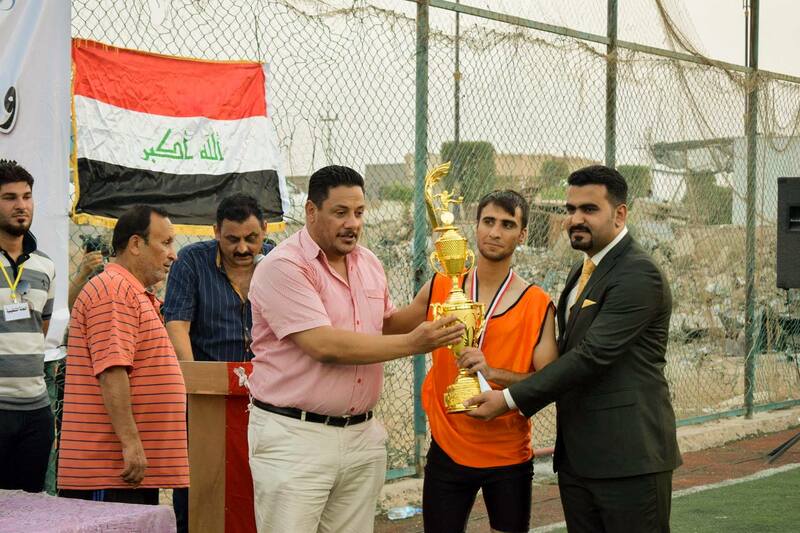 The event was attended by Colonel Ahmed Abdul-Sharqi, the representative of the Anbar Traffic Department, Mr. Bassem Al-Anbari, the Media Advisor to the Governor of Anbar, Mr. Mohammed Hammoud, Media Director of the Governorate, the head of sports clubs, and a supporter of a large number of leading athletes. It was also attended by representatives of some satellite channels and news agencies who covered the event. Prizes were distributed to the winners: first place went to the runner Mohammed Habbaniyah (an experienced athlete, who has run marathons in Asia and elsewhere); second place, to Khattab Amer; and third, to Salah Khalid. These activities are part of an integrated program of the Iraqi Social Forum called “Paths of Coexistence”. It seeks to promote peaceful coexistence in Iraqi cities, especially those that have been subjected to terrorist attacks and occupation, and which were liberated after bitter suffering. 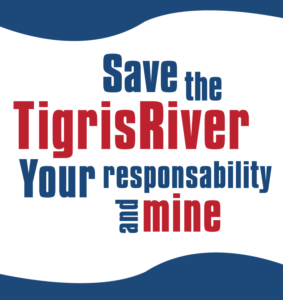 The program works towards coexistence in two areas linked to each other by the arteries of the Tigris and Euphrates. 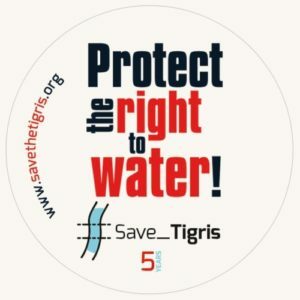 The first includes the cities of the Tigris River: Baghdad, Tikrit, Diwaniyah, Kut, Amara; the second, the cities of Ramadi, Hit, Babylon, Najaf, and Nasiriyah. The program promotes peace and nonviolent alternatives to conflict resolution, awareness raising, and acceptance of difference. The program also aims to strengthen the role of youth in building flourishing communities, and re-linking the cities of Mesopotamia with each other.